What is the difference between the 8500 and 8500w? 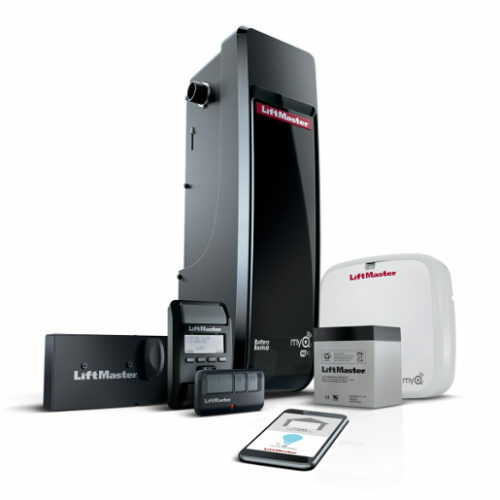 Is there any additional savings if I order more than (2) 8500 garage door openers? We can only ship two openers together, so there is no additional savings beyond two because we incur additional shipping costs. Why is there no savings on the 8500W 2 pack? The 8500w is heavier to ship than the 8500 causing the 2 pack to be a “heavy” package which costs us more. Also, a 2 pack of 8500w will require a signature for delivery as it is over $750 which is also an additional cost. How big of a door can the 8500 or 8500w lift? Both the 8500 and 8500w can lift a 14ft high door OR 18ft wide door UP TO 180 square feet. The 8500 has a lifting capacity of 650lbs. The 8500w has a lifting capacity of 850lbs. You DO NOT want to max out both square footage and weight. How much room is needed to mount the 8500 and 8500w? A minimum of 3 inches from center of shaft to the ceiling. Can the unit be mounted on either side? Do I need an 828lm Internet Gateway for each 8500? 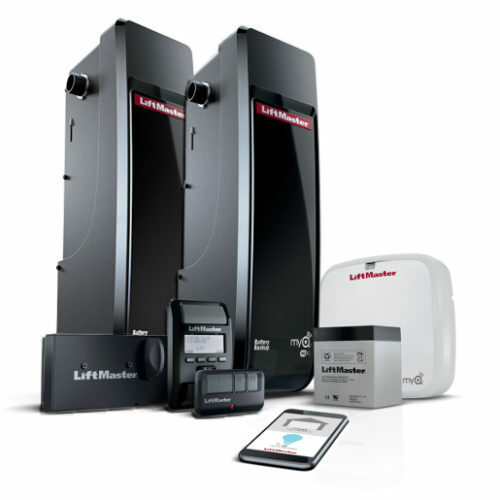 No, the 828lm can hold up to 16 devices on the same network. What is the range of the 828lm Internet Gateway? This can vary do to obstruction between router and the 888lm wall control panel, but roughly 400 feet. Why is the 8500/8500W not compatible with low headroom track? Low headroom track has reverse wound cables/drums and the 8500/8500w will not operate correctly with reverse wound cables/drums. Also, there is no arm to keep the top panel flush against the opening because the radius of the track is so tight. An arm (like on a trolley system) is needed to keep the top panel shut against the opening on low headroom track. Why is the 8500/8500w not compatible with the Wayne Dalton Torque Master system? It does not have a one inch torsion bar to mount the 8500/8500w to. Will the 8500/8500w work on a roll up door? No, it will not. 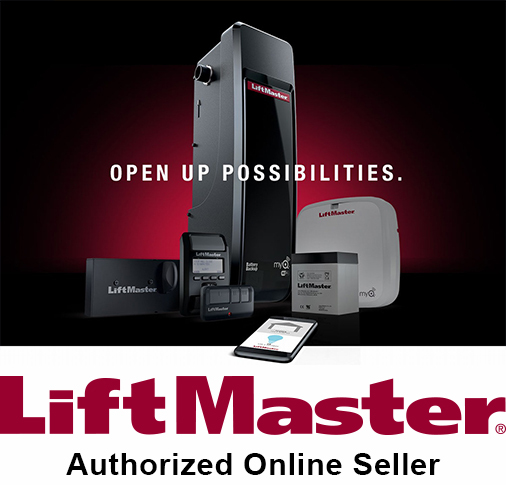 You will need to research the Liftmaster 3950 or 3950w for roll up doors. Why does my billing and shipping address have to be the same? Due to the amount of fraudulent charges received from separate shipping and billing addresses, we require them to be the same. We try are best to ensure legitimate purchases are occurring. You can use your PayPal account to have separate shipping/billing addresses. YOU MUST have the ship to address already in your PayPal account before placing the order for it to accept the address change. If you do not have it already in your PayPal account, you will need to sign in separate from our website and update your account before proceeding. If you still have issues please contact us at 205-319-7221. If you have a question that isn’t covered here, please send us a message. Thanks!